Danebank was founded in 1933 when a group of Hurstville parents, led by the Crakanthorp family, engaged Miss Edith Roseby Ball to educate their young children. She began with five girls and boys, teaching them on the back veranda and in the backyard of a local home at 104 The Avenue Hurstville. Within two years, through her hard work, energy and enthusiasm, Miss Roseby Ball had purchased the school’s first building, at 86 Park Road Hurstville, and started a process of ongoing development and expansion. Miss Roseby Ball modelled Danebank’s ethos on ‘Ut Prosim’, meaning “That I May Serve”. ‘Ut Prosim’ symbolises the school’s Christian foundations and intention, that every student shall be introduced to the Christian faith through the practical experience of Christian care. Miss Roseby Ball’s tireless work over 17 years enabled her young pupils to thrive and is a striking example of this service. A school where development of facilities and infrastructure is constant in order to meet changing educational needs. We celebrate Danebank’s traditions each year on Founder’s Day which is held on the anniversary of Miss Roseby Ball’s birthday, 7th March. On that occasion two special awards are presented. The Edith Roseby Ball Award for Compassion recognises Miss Ball’s compassionate inclusion of all students, including some with disabilities. The Valerie Crakanthorp Award for Philanthropy recognises Mrs Crakanthorp’s generous financial support when Danebank was established. These annual awards are presented to current or ex-students who have given outstanding compassionate or philanthropic service to the wider community. Today, Danebank’s ethos remains true to Miss Ball’s vision. 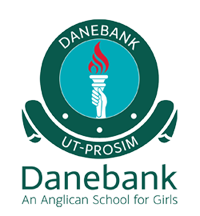 Danebank has been described as a school with a heart, where students uphold each other and where they are upheld by staff to achieve their best academically (develop keen minds) and to be fine, contributing young women (maintain their faithful hearts) ready to take their place in the world.